Phew, Megan Saves the Day! Last night I was frantically searching for books with quotes at the beginning of the book, A.K.A. epigraphs. I tore my bookshelves apart at home, looked on the internet, and even made my plea to the blogging world. Guess what?!? It paid off because my dear friend and colleague Megan saved the day. She found a few books that I was able to use to model and teach the literary text feature epigraph with, yea! First, let me begin with that an epigraph is a quotation at the beginning of a book, chapter, etc..., suggesting its theme. 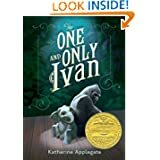 I really believe that knowing and understanding this will be instrumental in my students comprehending and enjoying The One and Only Ivan, which we are using it as a novel study. Next let me share the book titles that also incorporate an epigraph at the beginning-just in case you also want to teach this lesson. "Don't judge a man until you've walked two moons in his moccasins." "It is never too late to be what you might have been. -George Eliot"
The Harry Potter series as well as the Twilight series apparently also begin with epigraphs. Just wanted to share in case you needed some texts to teach literary text features. 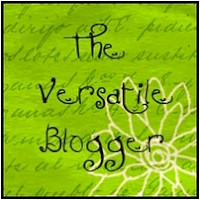 Hello :) I am reaching out to all you awesome teachers in blog-land because I desperately need your help! I am in search of books that have a quote at the beginning. 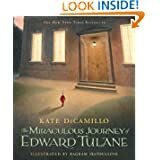 So far I can only find two, The Miraculous Journey of Edward Tulane by Kate DiCamillio (and this quote is super depressing) and The One and Only Ivan by Katherine Applegate. The book does not have to be a children's book, although that would be awesome I just wanted to share a few examples and two is not exactly a few. Any help that anyone could provide would be VERY much appreciated!!! Happy Sunday afternoon everyone (or whatever day and time it is when you see this). I wanted to pop on just to share with you one of the things that I have implemented in my classroom. Many teachers have a treasure box that they use for bribery behavior modification through positive reinforcement. Inside your standard treasure box are many items like pencils, erasers, small trinkets, and even candy. Mine usually depends on the items in the dollar section at Target and/or Dollar Tree goodies. This year, however, I decided to add in things like sit at the teacher's desk for a day, choose any classroom job for the following week, chew sugar free gum all day (I provide two pieces. One for before and one for after lunch-but no smacking, popping, etc...), choose a friend to have lunch in the classroom, and one or two others. This has been a huge hit! Not only are these items free, after all who doesn't have gum already in their purse, but I have learned even more about my kiddos. Most of the kids have chosen to have lunch in the classroom with a friend. One day I had to catch myself because the conversation I was privy to was hilarious and I didn't want my laughter to hurt anyone's feelings. Two of my boys were discussing the strange noises that they hear at night. One of my students is pretty sure that there is a ghost at his house because of the humming sound. The other boy confirmed this theory and said that the ghost might be memorizing. I looked over only to discover he was criss cross applesauce with his middle fingers touching thumbs (he meant meditating). A few days later another student and a friend were eating in the room when the winner of the treat informed me that every time he was able to go to treasure box he was going to pick lunch with a friend and he was going to choose someone different so that everyone would have a chance. Yup, I love that kid's heart! 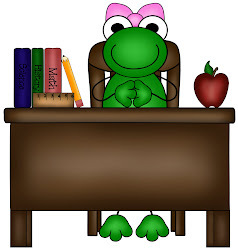 I wanted to share what's hoppin' in my class in case you were looking for something new to spice up your treasure box. Thanks so much for reading and I hope your week is fantabulous!!! I mustache you to read this book! Over the summer I blogged about one of the SSYRA (Sunshine State Young Readers Award) books, Fake Mustache by Tom Angleberger. I mentioned that it was funny and cute and a must read. This might possibly have been a bit of an understatement. 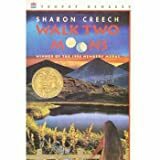 I began the school year with this as our first read aloud and it was a HUGE success! Let me tell you a little bit about my kiddos. Two thirds of my class is boys. Not to sound stereotypical or anything but must boys like to eat. 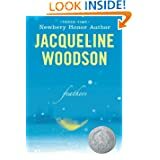 My class was so into this book that they said they didn't want to go to lunch they just wanted me to keep reading. Can you believe it? I hardly could. Therefore, I will once again recommend Fake Mustache by Tom Angleberger. Try it, you might like it . . . and I'm 99.99% sure that your students will too!! !